O.V. Wright was an American soul singer. Most of O.V. Wright's fantastic 60s recordings on the Back Beat label had been produced by Willie Mitchell. Mitchell worked for Hi Records at their Royal Studios in Memphis, and by the 70s, thanks to his success with Al Green, he had become vice president of the label and was running the studio by himself, with his own tightly-knit group of session musicians. 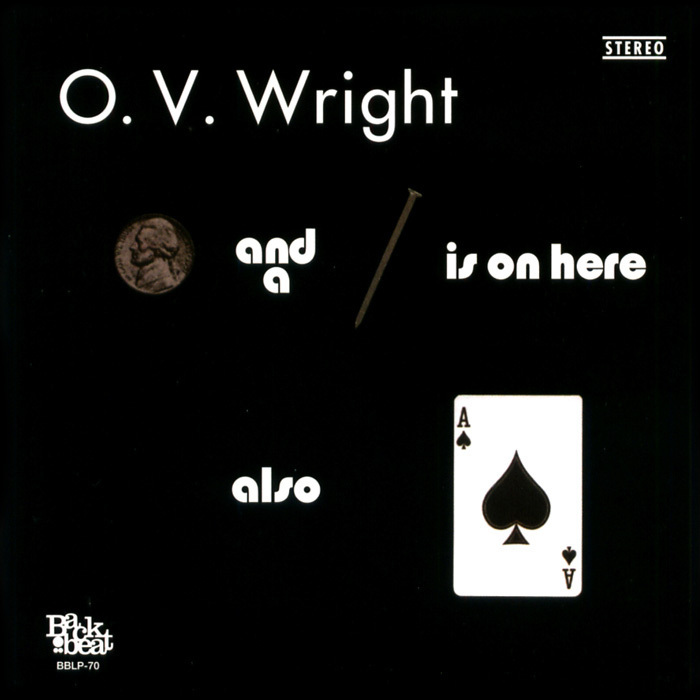 Back Beat was still using him to produce Wright, and so in 1970 O.V. Wright went to Royal Studios to record a fantastic new album, backed by the Hi Rhythm Section (the Hodges brothers Charles, Leroy and Teenie on organ, bass and guitar respectively, and drummer Howard Grimes) and The Memphis Horns. The first single from the sessions, "Ace Of Spades", reached #11 on the R&B chart in 1970. The next year saw "When You Took Your Love From Me" and "A Nickel And A Nail" get to #21 and #19, and the full album was released. 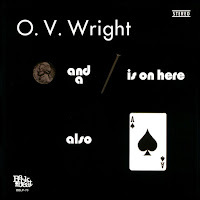 It turned out to be something of a masterpiece, up there among the very best Southern soul albums, being testimony to both Wright's passionate vocals and Mitchell's production talents. It also featured a new recording of Wright's old hit from 1967, "Eight Men, Four Women" (which was still his highest charting single). this is awesome...have already listened to it all the way through twice. Many thans for those beautiful songs.